Many trucks come from the factory with a rake that puts the front end down and rely on the weight of cargo to level out the stance. Superlift has developed an easy remedy in their Level-It suspension product line, that levels the front of the truck and allows for plus-size wheel and tire fitments for a more aggressive appearance. The added height can also help accommodate the extra weight of a heavy winch, bumper or snowplow. 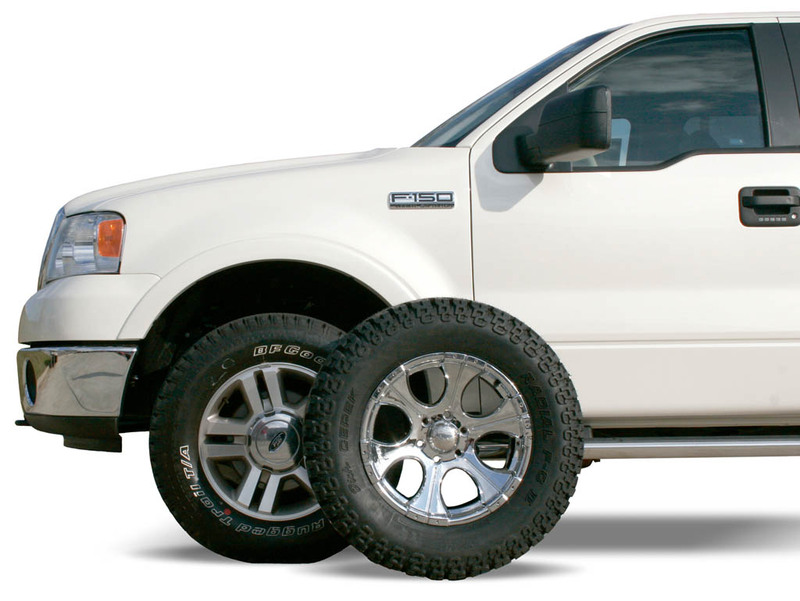 Superlift's newest Level-It kit fits 2009 and up Ford F-150, both 2WD and 4x4 models. The kit consists of spacers for the front struts. 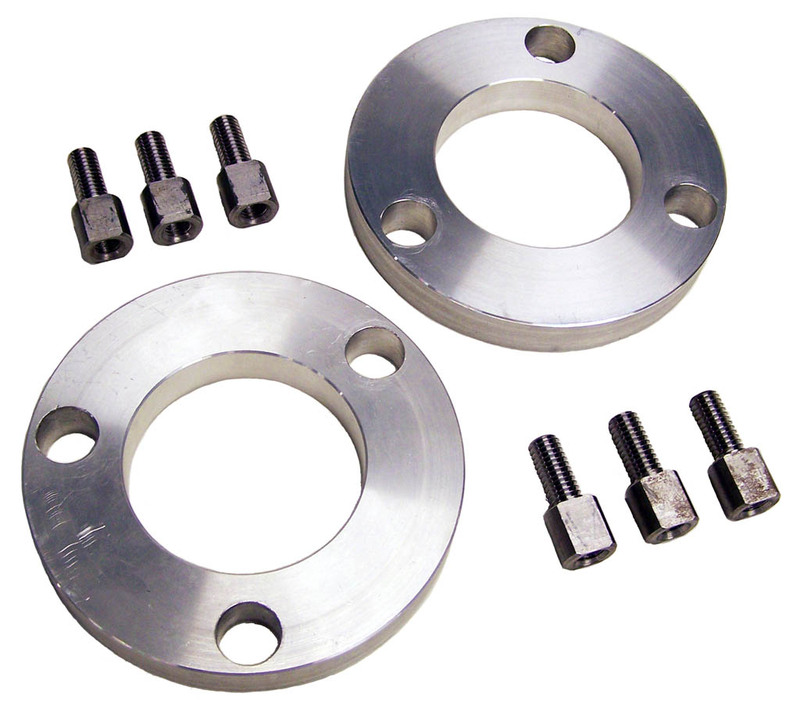 The spacers are constructed using 6061 T-6 billet aluminum and attach with 10.9-grade metric hardware. Because the kit retains the factory springs, struts and suspension travel, the ride is not altered. The Level-It kit installs using basic tools as the strut does not need to be disassembled. Installation takes about two hours and can be performed by a home mechanic. The kit allows 33-inch tires to be installed. Superlift also has options to lift the rear of the truck, including add-a-leafs and rear spring spacers available from .5 to 1.5 inches of lift. Rear shocks are offered as an option. The longer length and improved design enhance performance. Shock choices include twin-tube Superide or performance Bilstein SS monotube shocks. 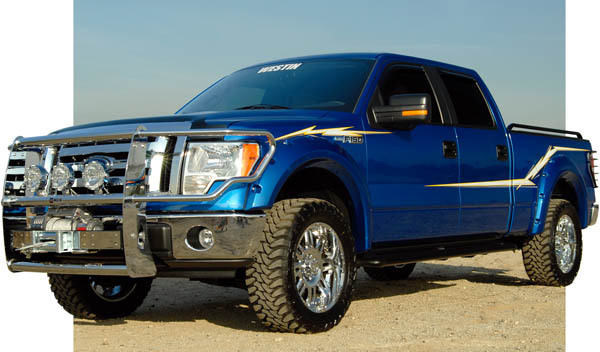 All components are backed by Superlift's Limited Lifetime Warranty.